The Handle Vase by Mater was designed by the Danish architect Eva Harlou and offers an extraordinary and functional way of arranging flowers. Both individual plants and lush bouquets of flowers look good in the vase and provide an eye-catcher in the living area. 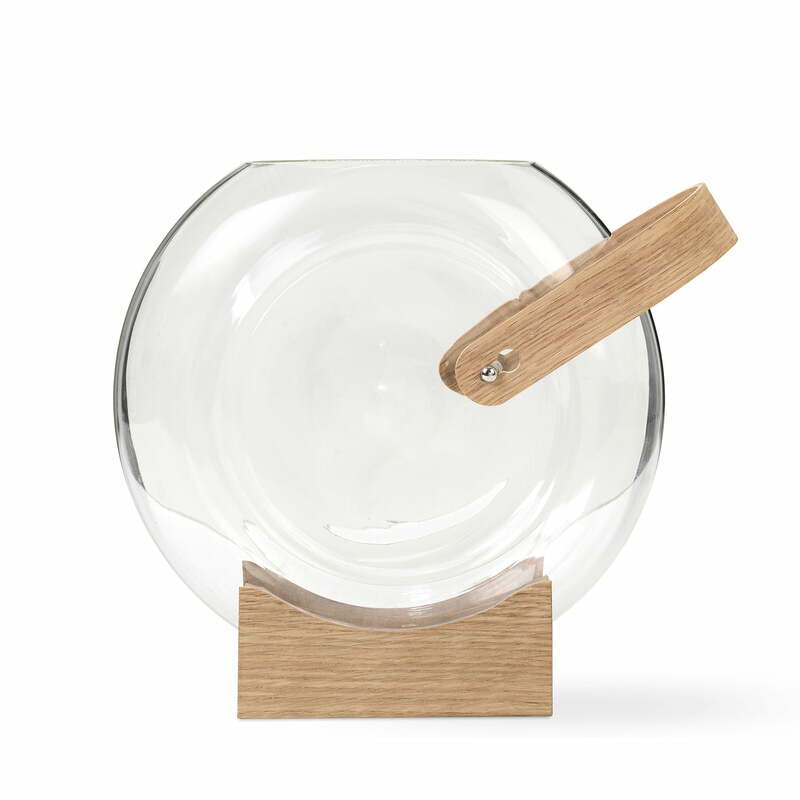 It is made of borosilicate glass and rests on an oak frame. Thanks to the round shape, the position of the vase in the frame can vary, so that the opening of the vase can also be tilted. 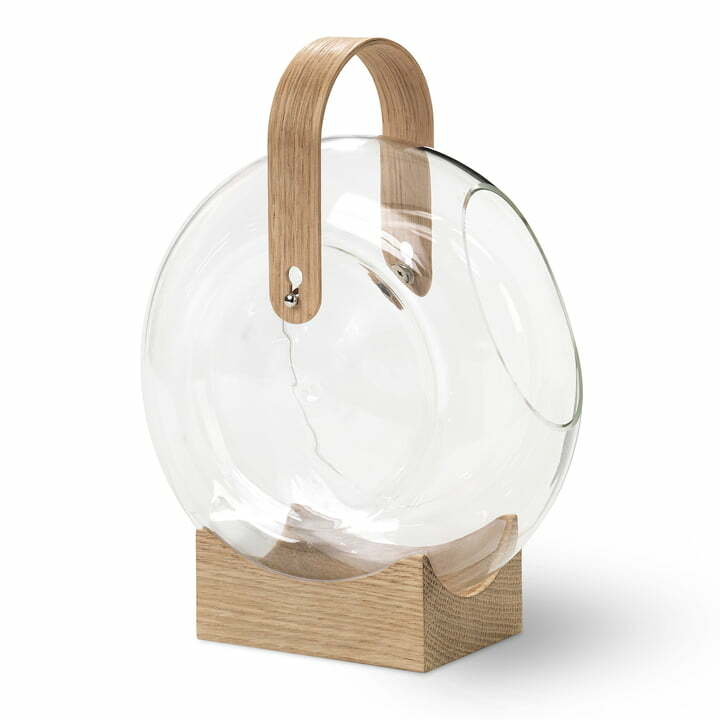 The handle vase of Mater in oak / clear. Both individual plants and lush bouquets of flowers look good in the vase and provide an eye-catcher in the living area. 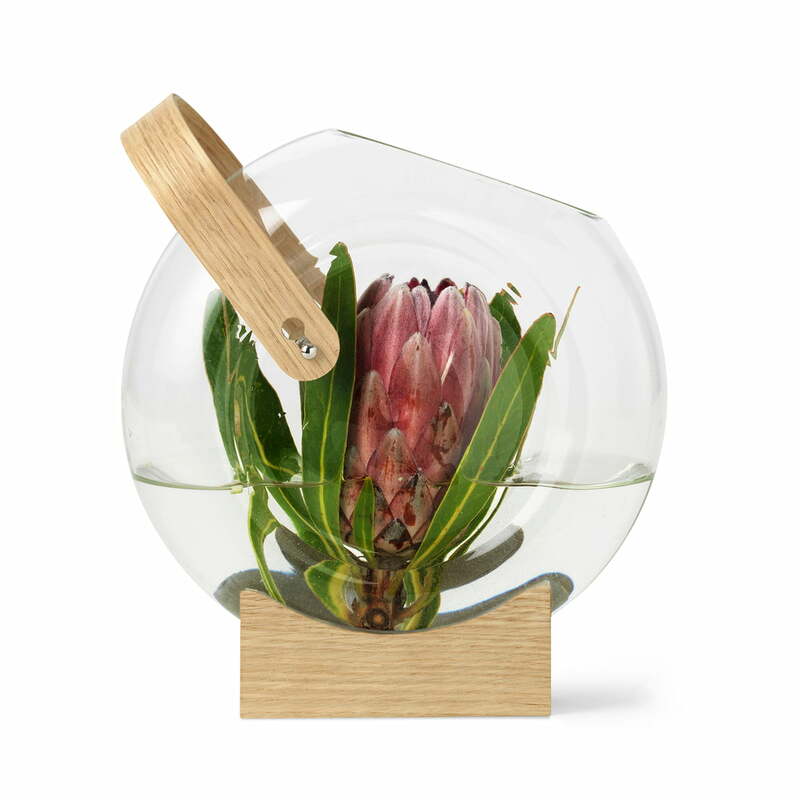 The Handle Vase by Mater was designed by the Danish architect Eva Harlou and offers an extraordinary and functional way of arranging flowers. 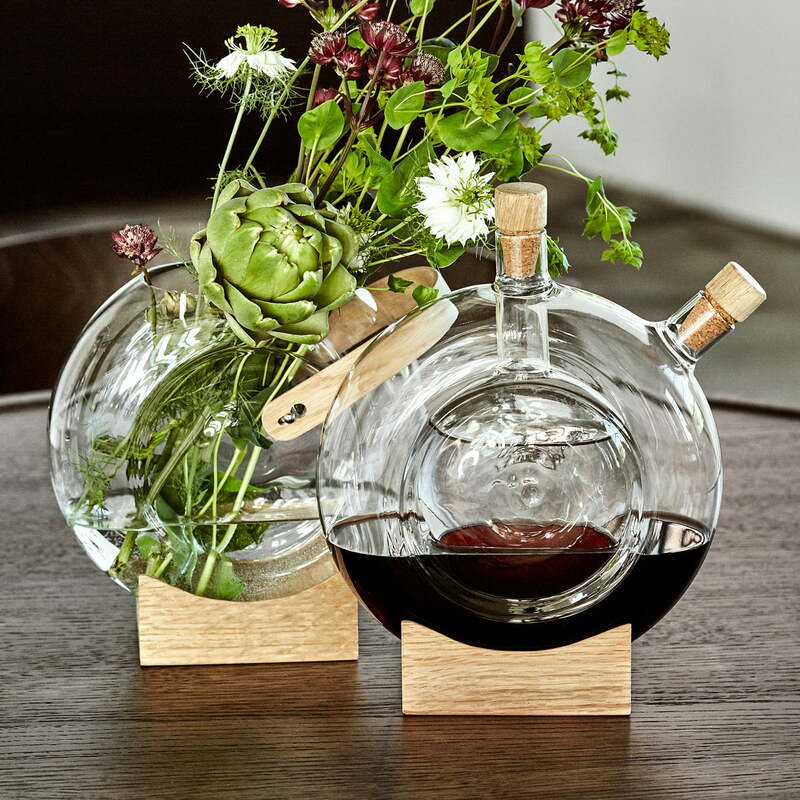 It is made of borosilicate glass and rests on an oak frame.